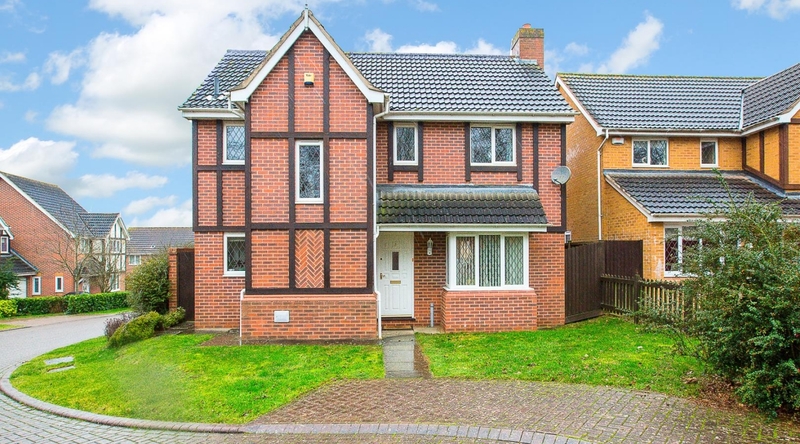 This immaculately presented four bedroomed property offering separate reception rooms, ensuite to the master, private and enclosed rear garden, double garage and off-road parking is situated in the popular Leisure Village development. 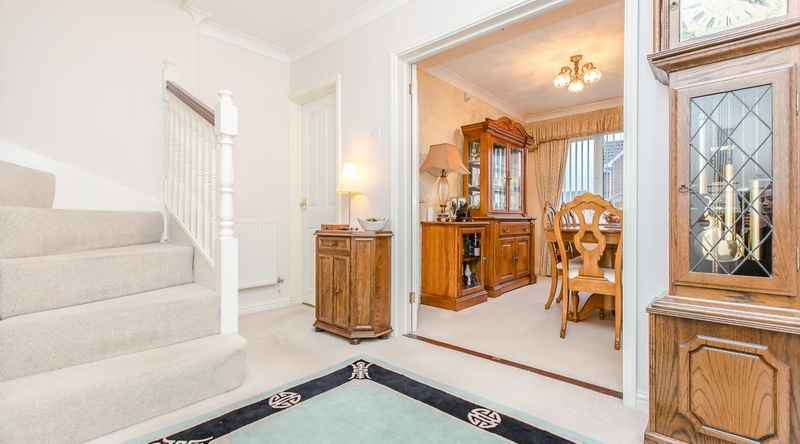 The property is entered into a large hallway, which provides access to the lounge, dining room, kitchen, downstairs WC and stairs rising to the first floor landing. 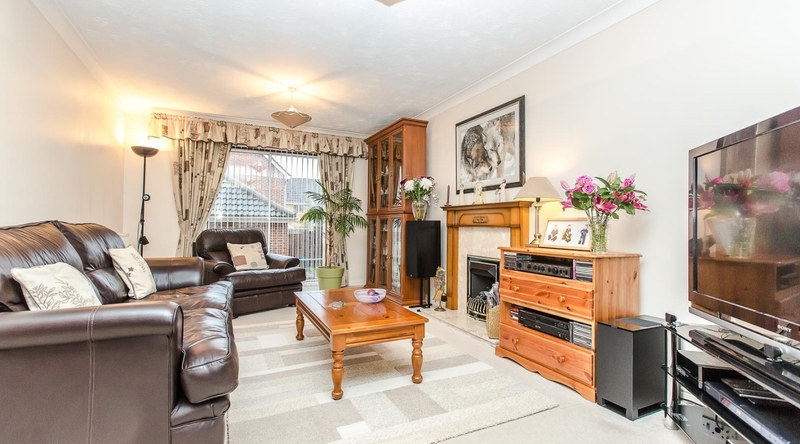 The spacious lounge has a bay window to the front of the property, a sliding door leading to the private rear garden and a feature fireplace with a wooden surround. 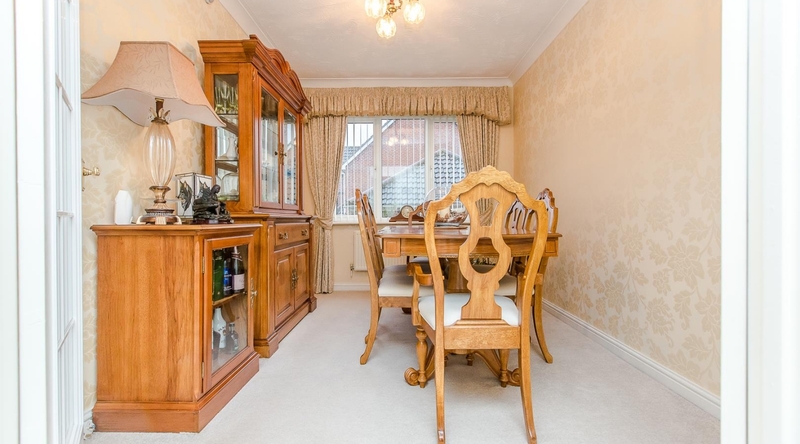 The dining room has ample space for a dining table. The kitchen features a range of wooden eye and base level units, roll top work surfaces and tiled splash backs. 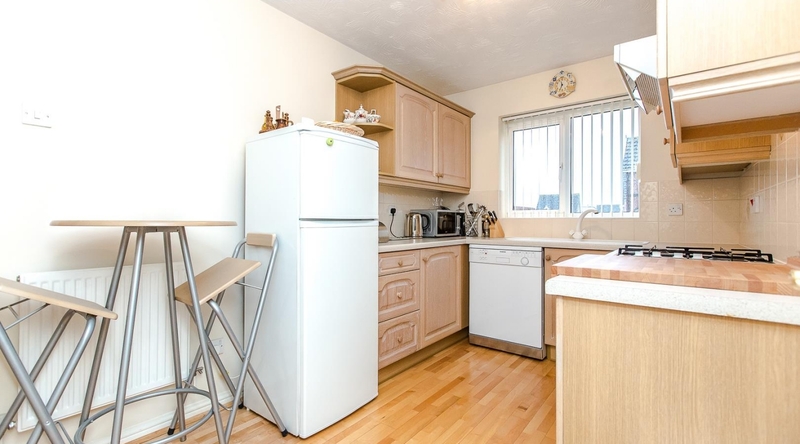 There is an integrated oven, four ring hob with an extractor hood over and space for a fridge/freezer and dishwasher. 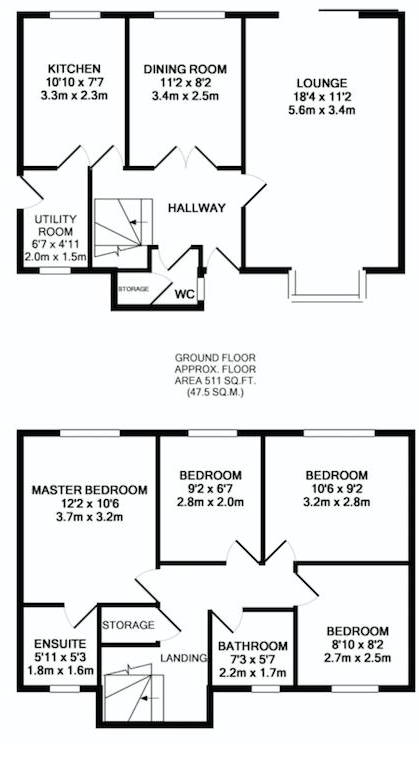 There is access to the utility room via the kitchen, which has plumbing for a washing machine and access to the private rear garden. 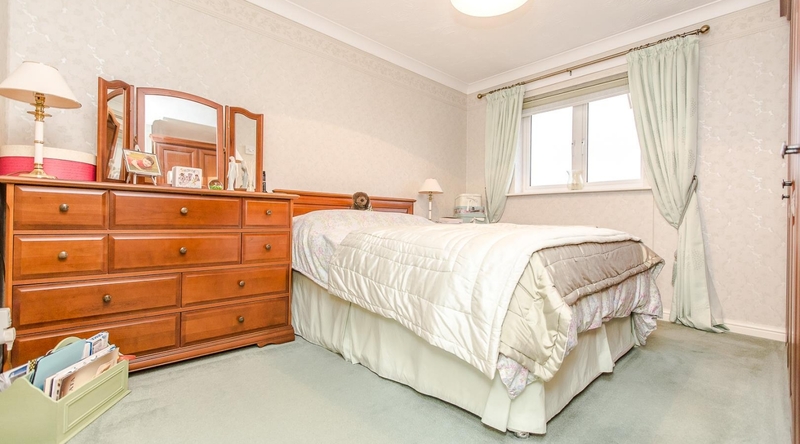 The first floor landing gives access to four good sized bedrooms including the master bedroom and the family bathroom. 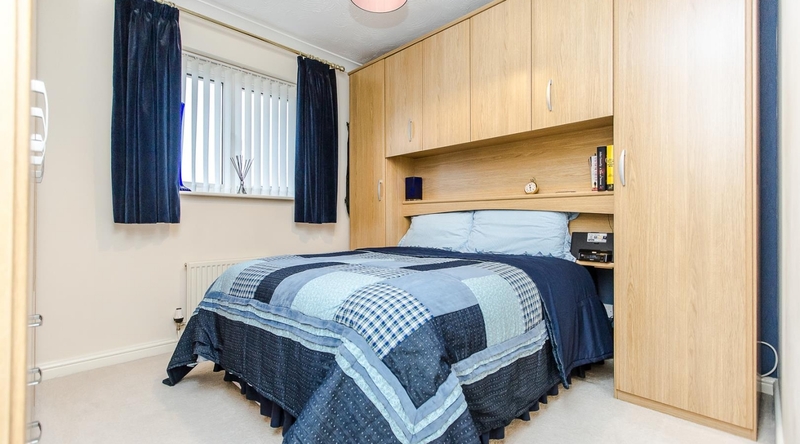 The master bedroom benefits from an ensuite, which is fitted with a cream three piece suite comprising a low level WC, pedestal wash hand basin and walk in shower cubicle. 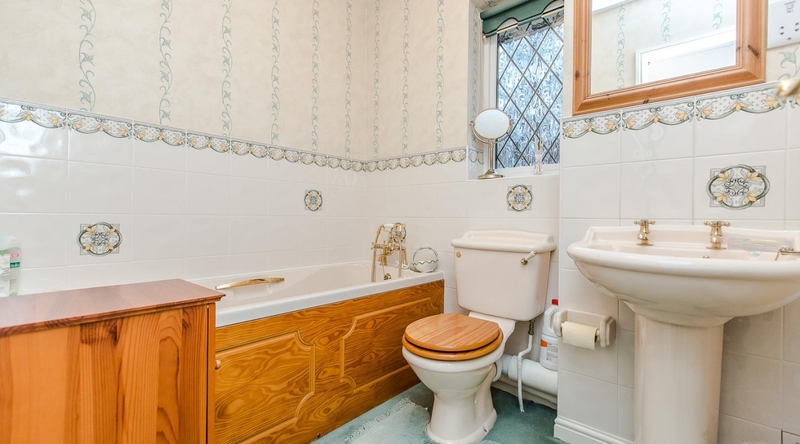 The family bathroom is fitted with a cream three piece suite comprising a low level WC, pedestal wash hand basin and a bath with a shower attachment. The private and enclosed rear garden is predominately laid to lawn with a paved area providing outside dining space. 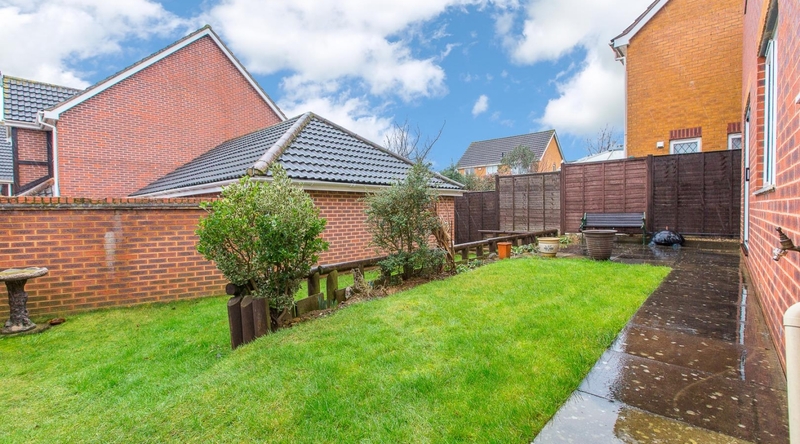 The garden has been enclosed by timber fencing with side access to the front of the property and access to the double garage and off-road parking.